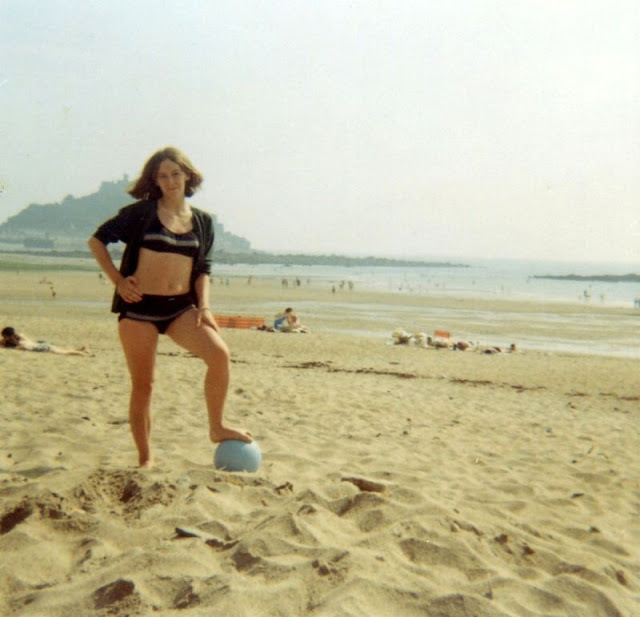 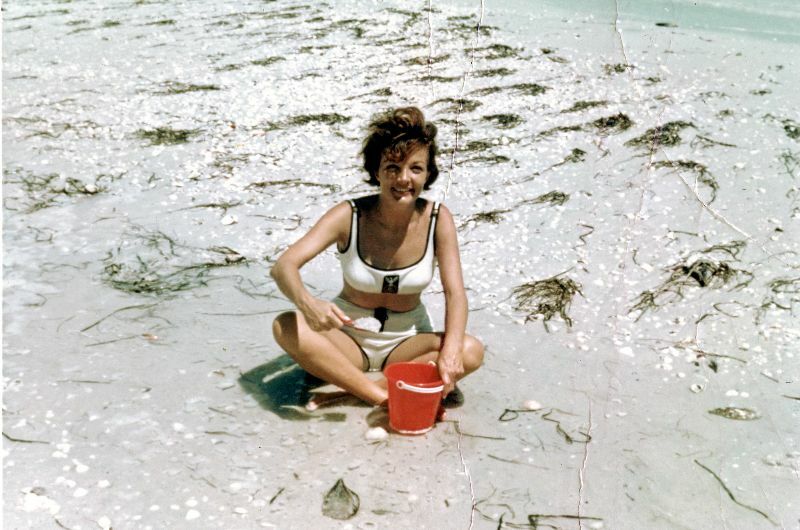 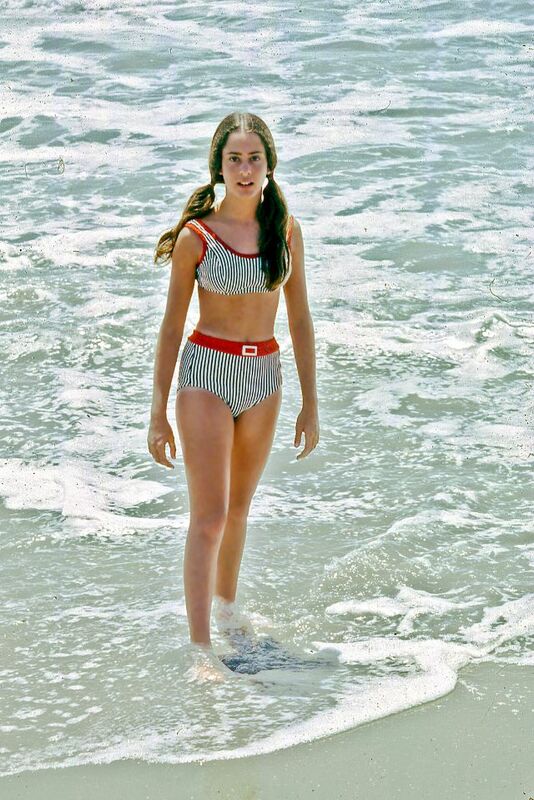 Flashback to the 1960s where the modest swimsuit of the 1950s went out and in came the cute two piece bikini and flashy one piece bathing suit. 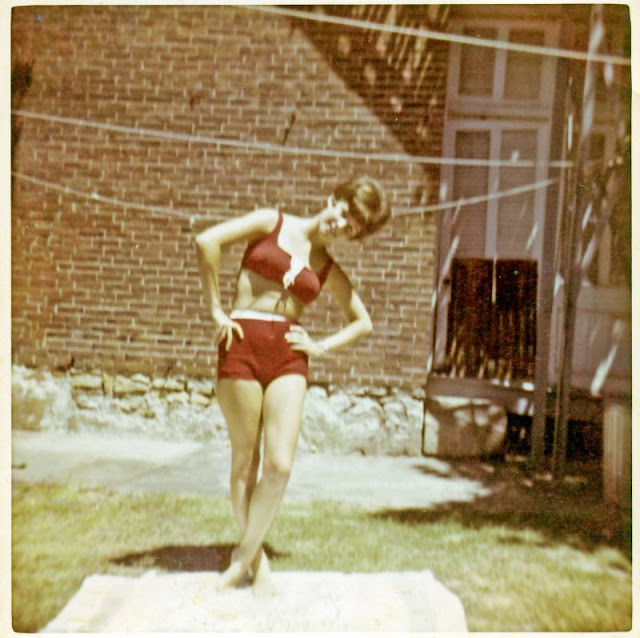 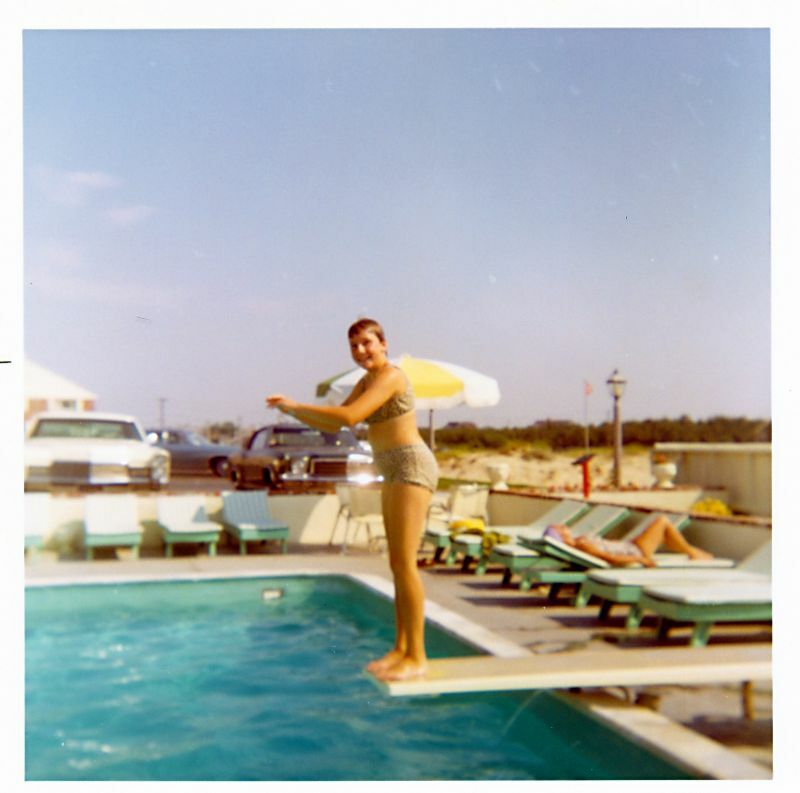 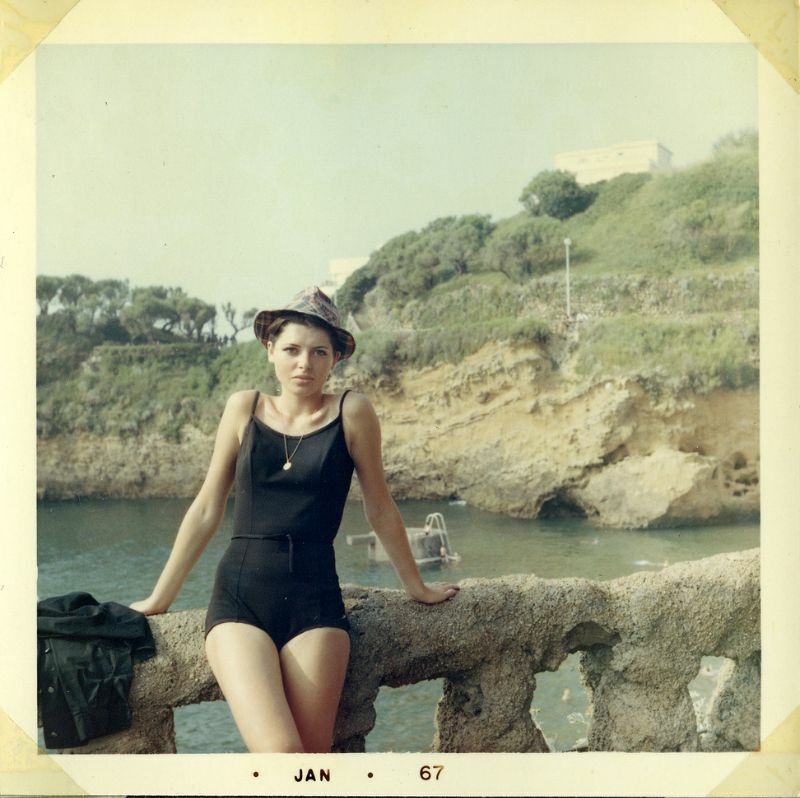 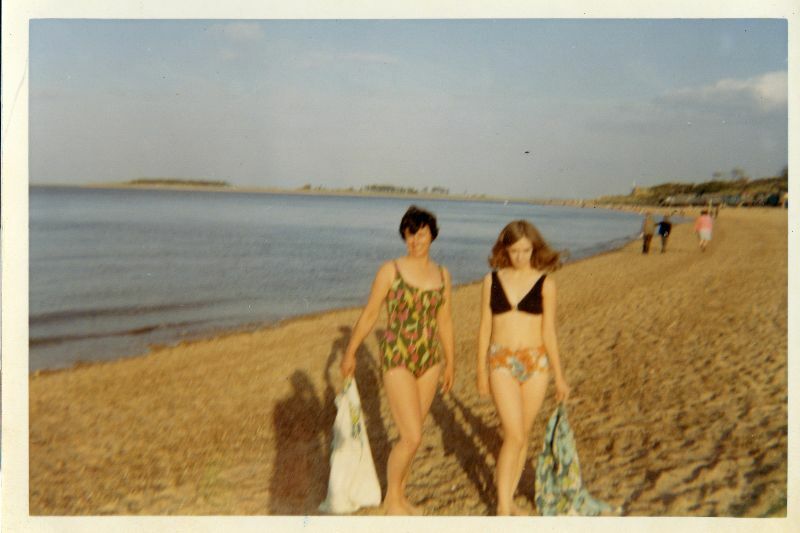 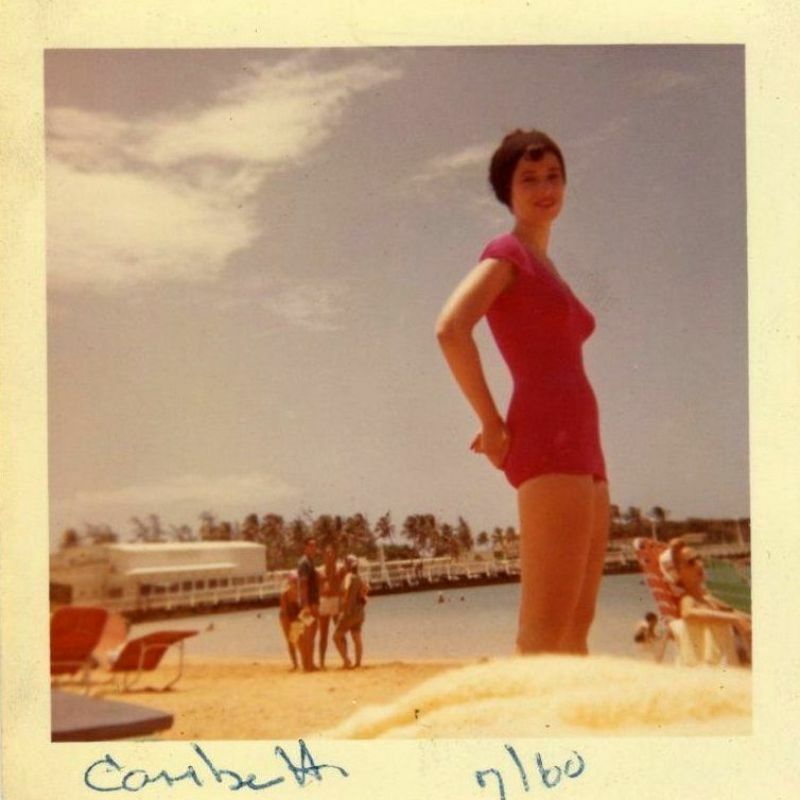 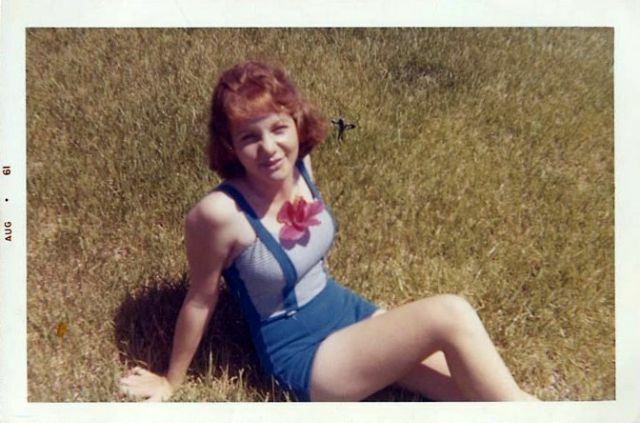 '60s swimsuits with contrasting mod colorblocks were one fad. 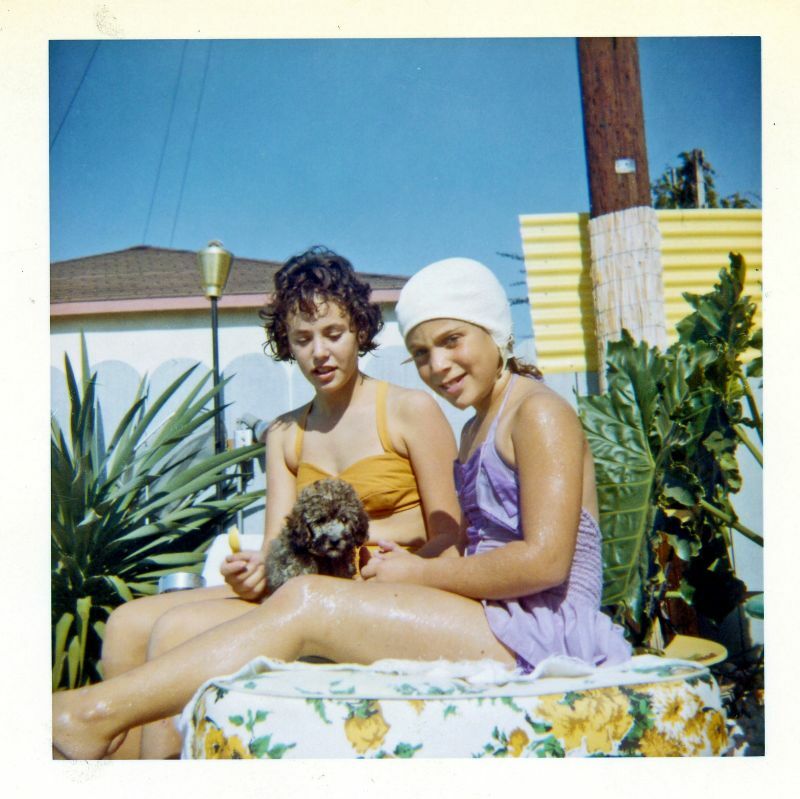 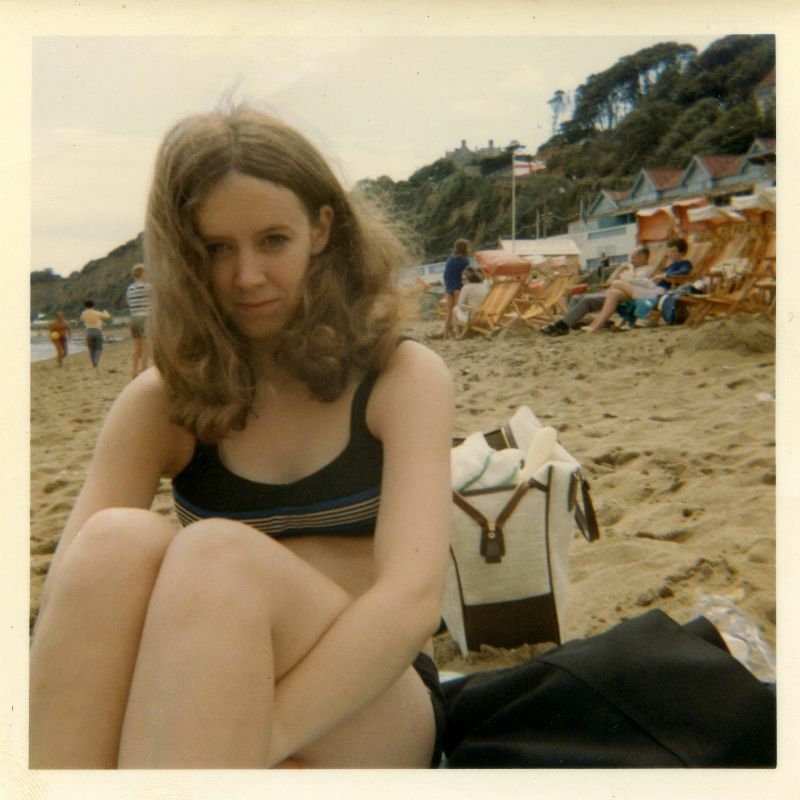 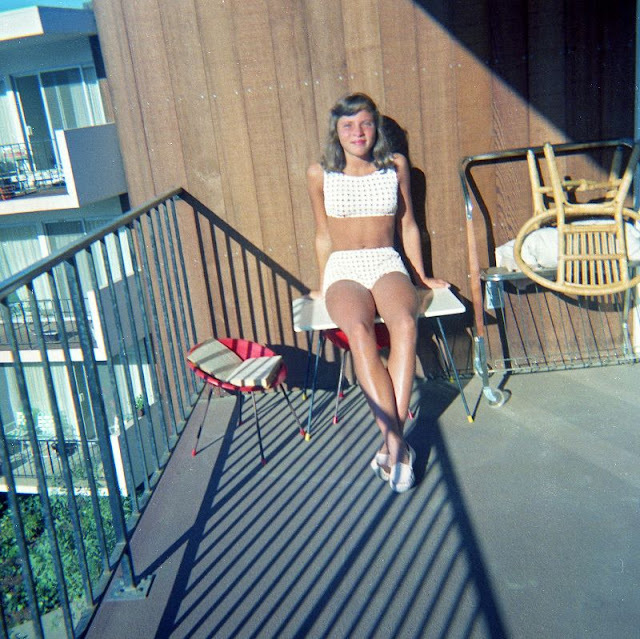 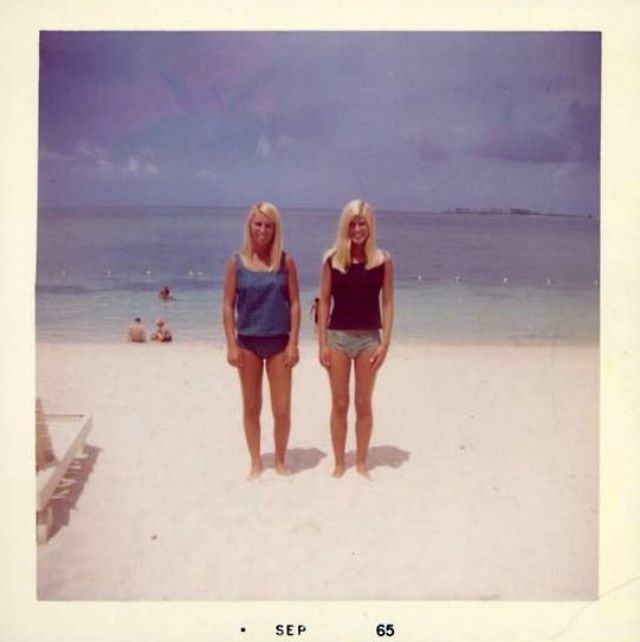 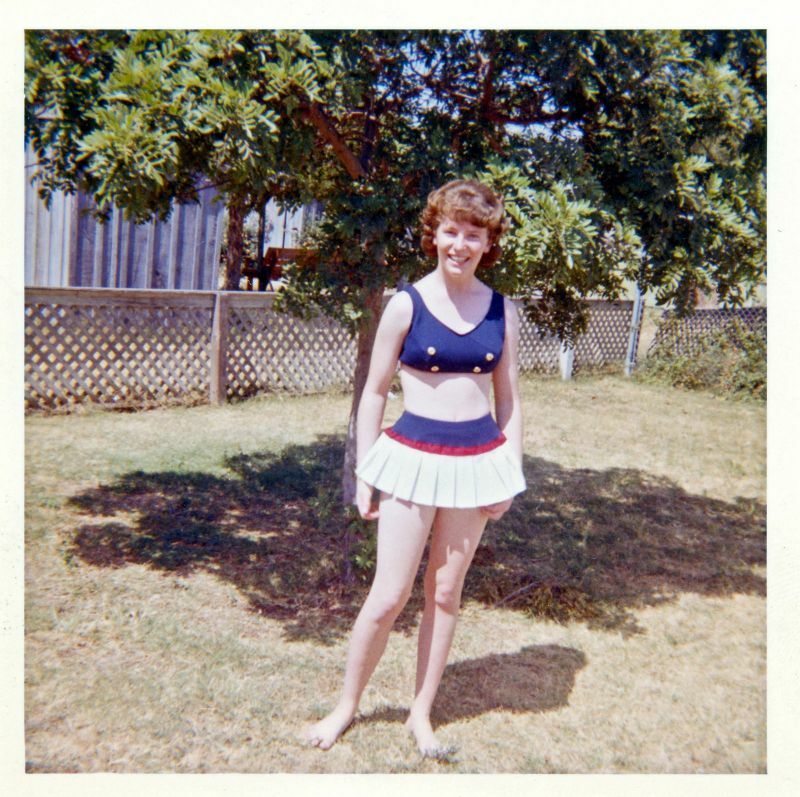 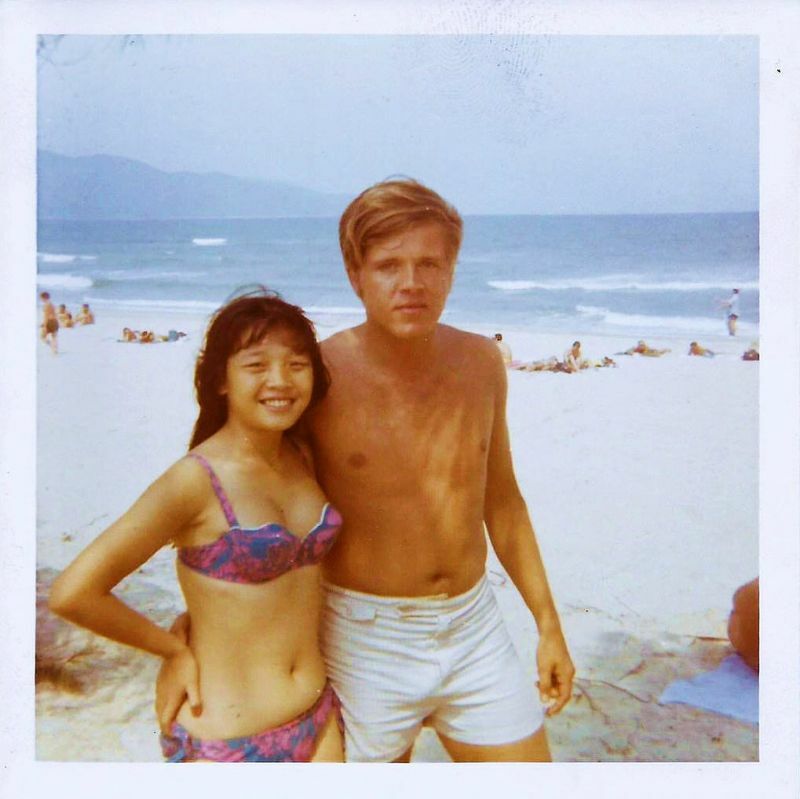 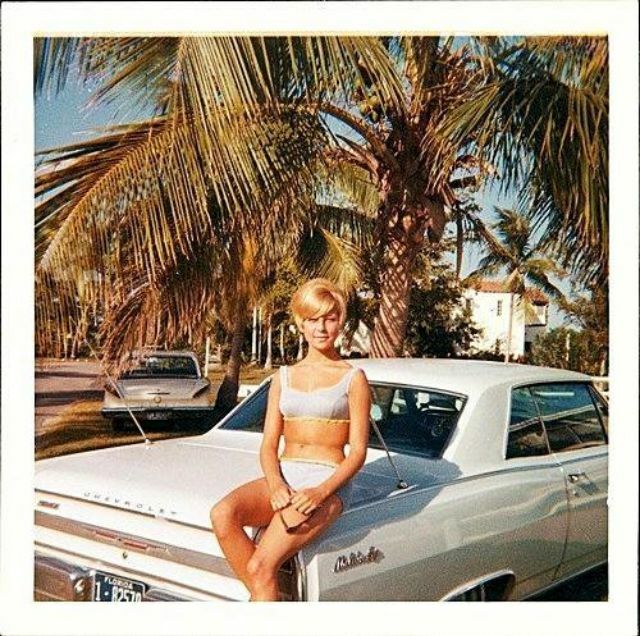 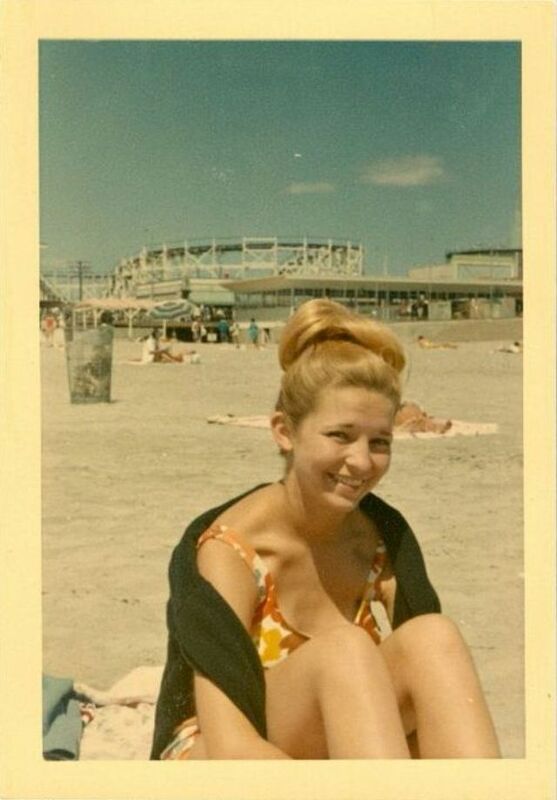 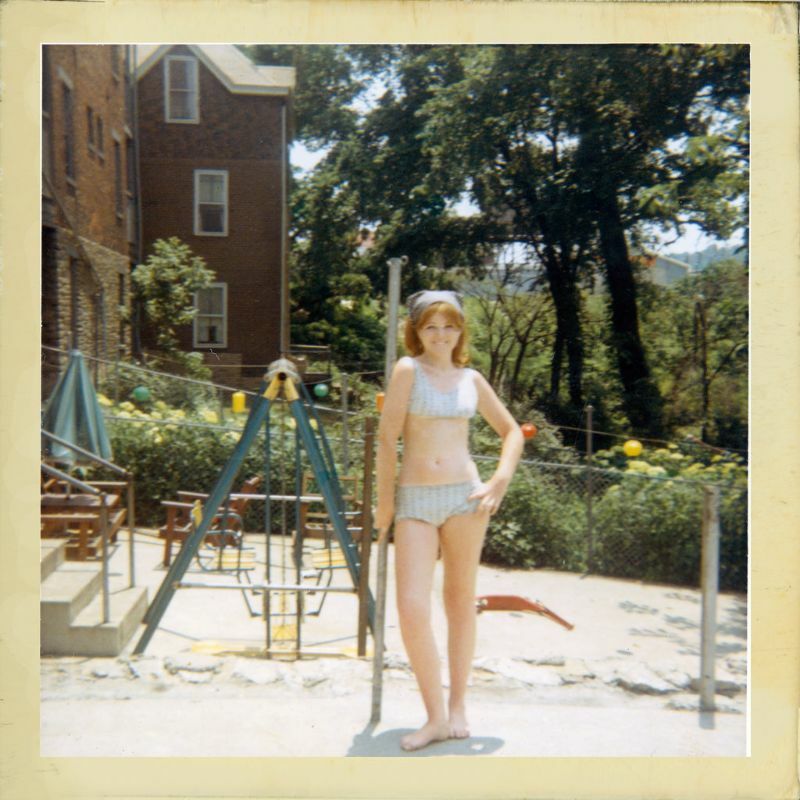 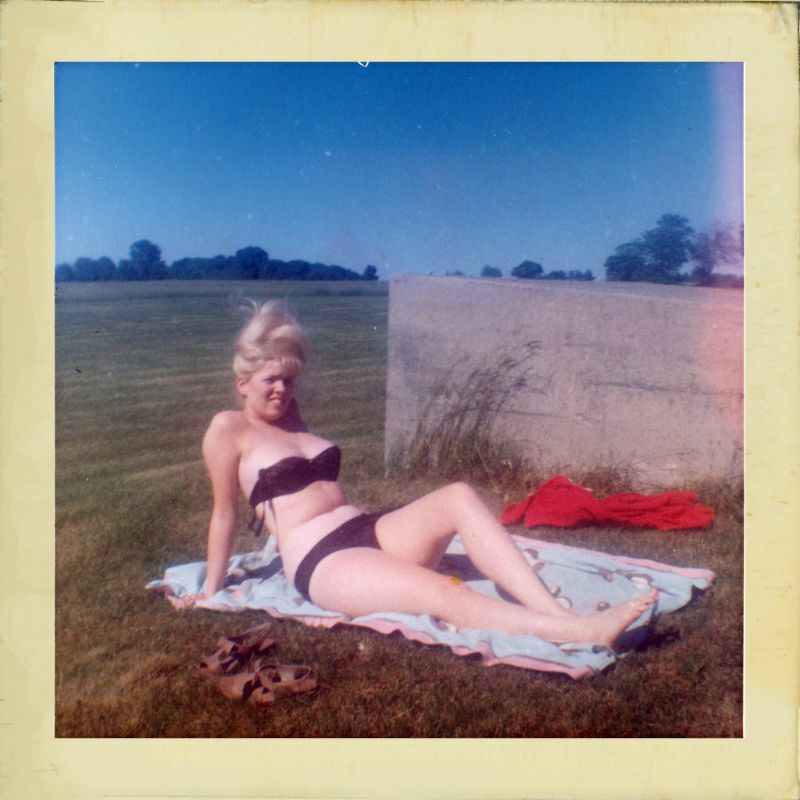 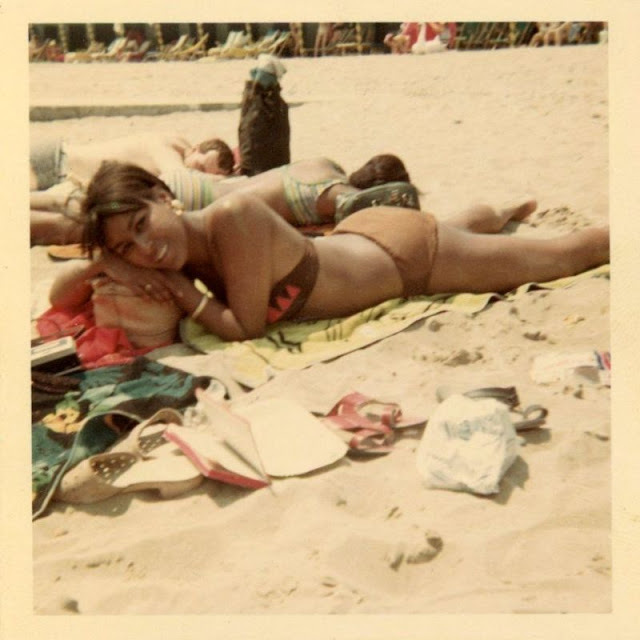 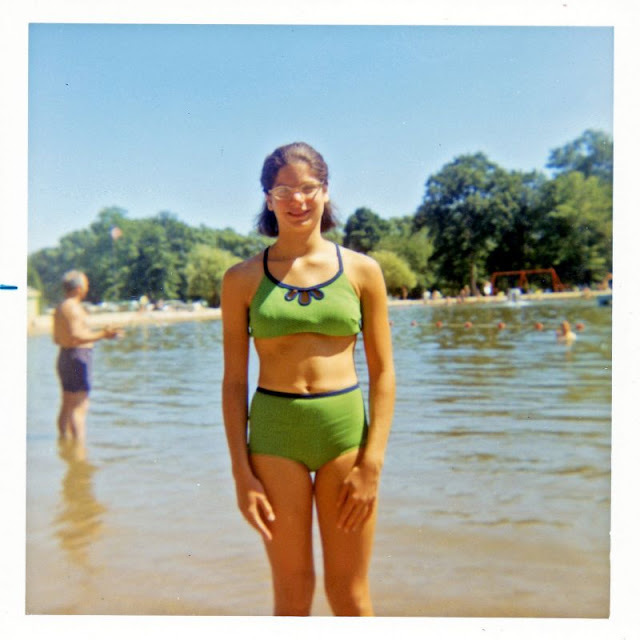 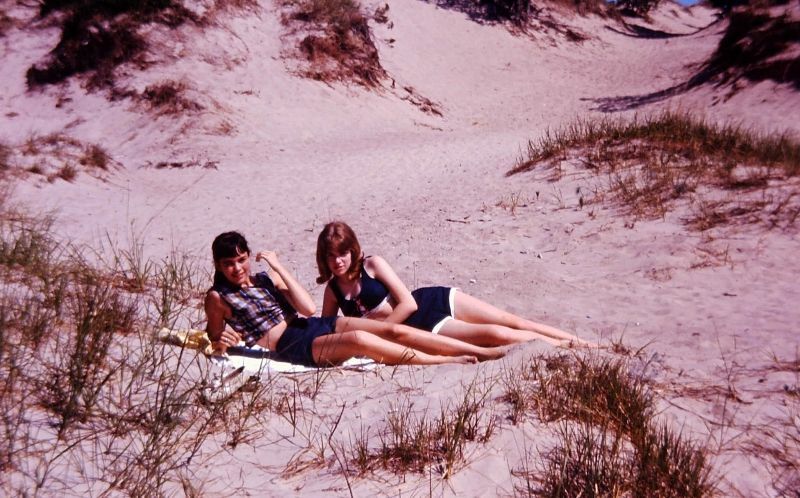 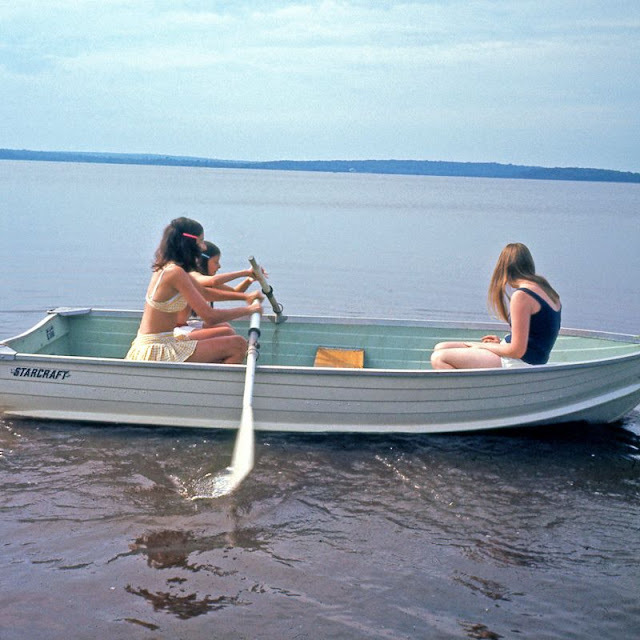 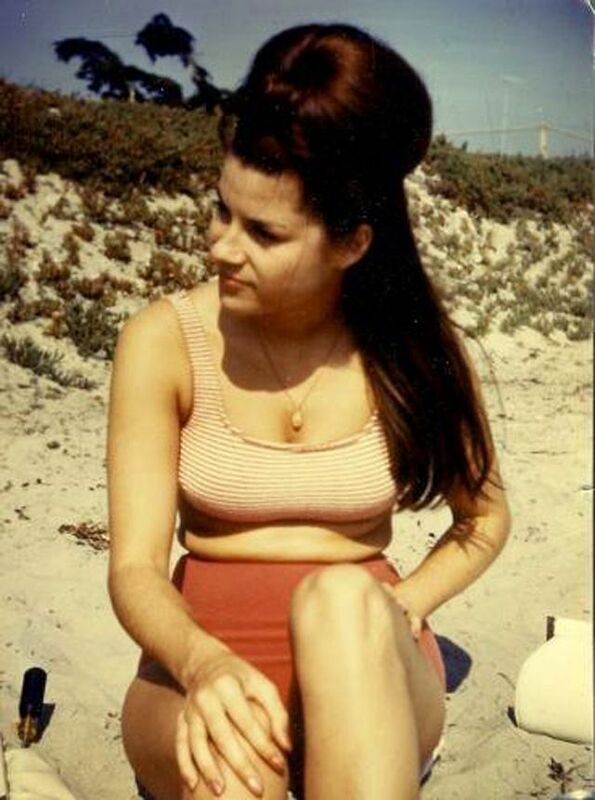 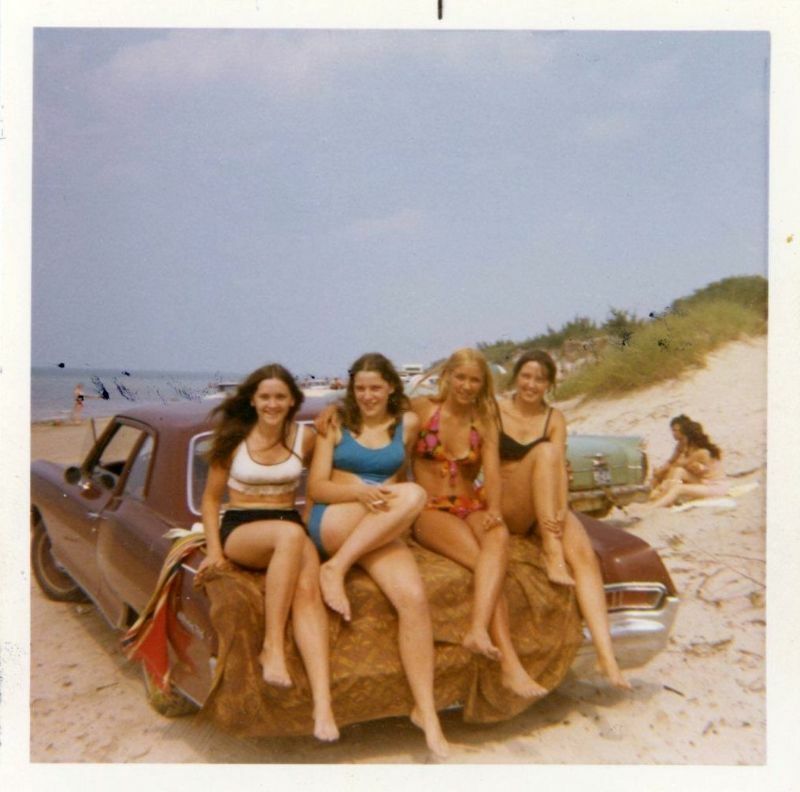 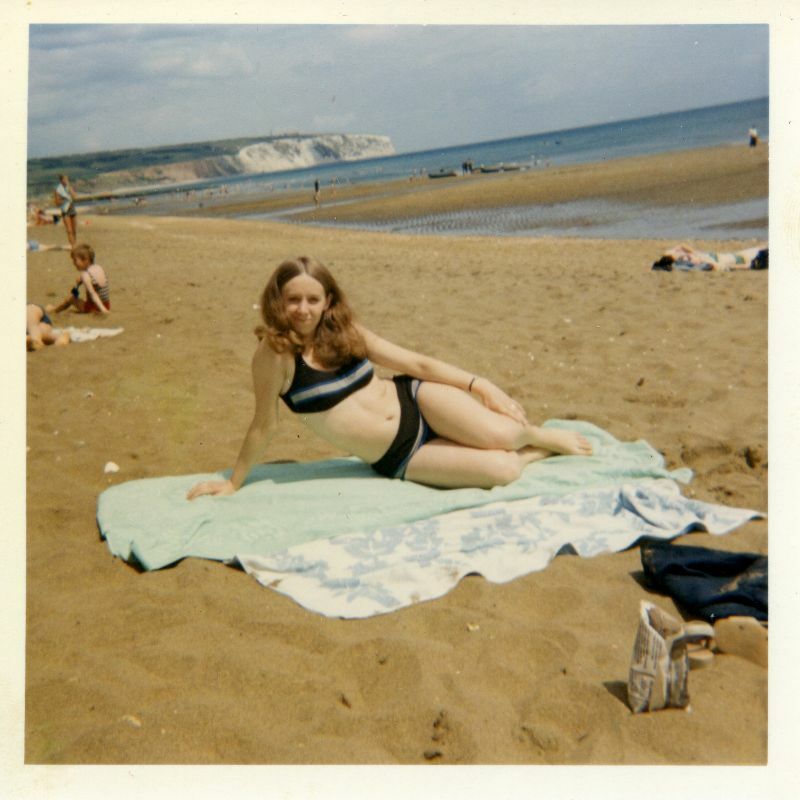 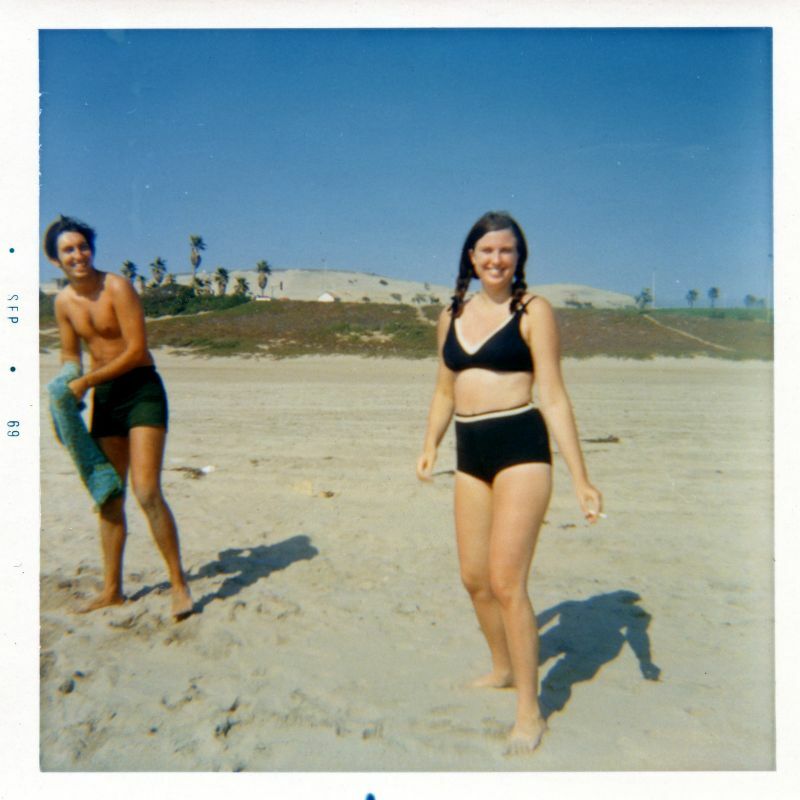 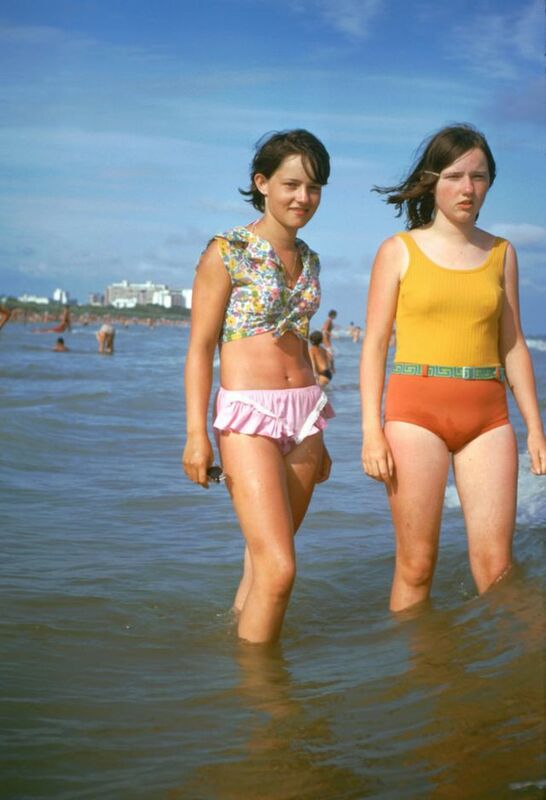 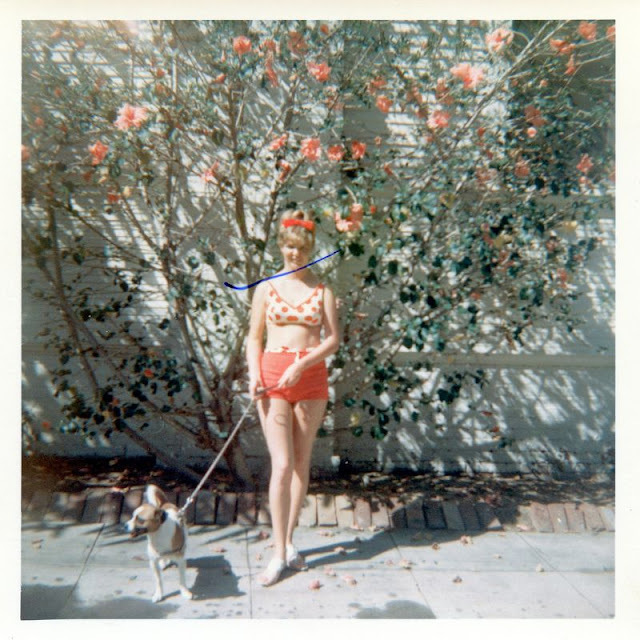 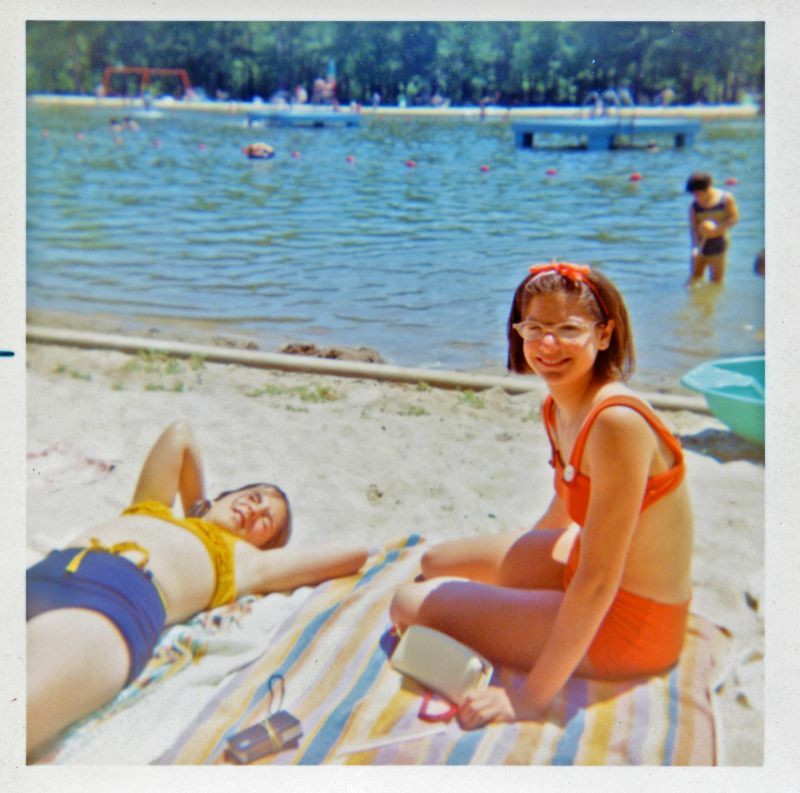 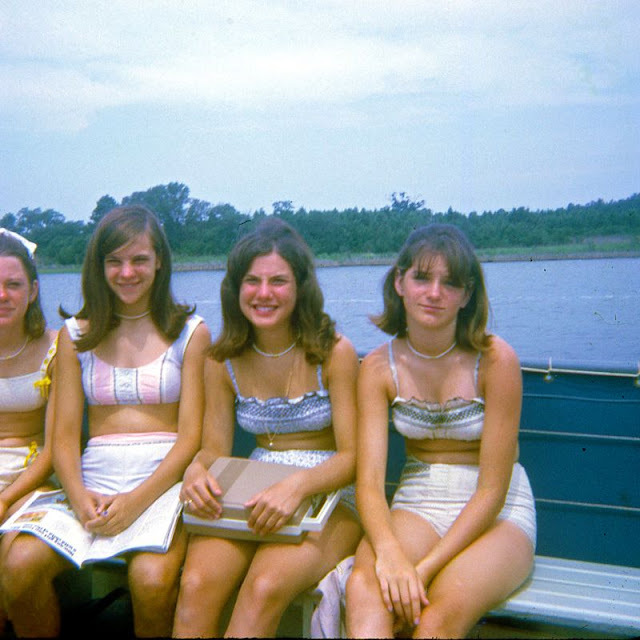 This collection of color snapshots of '60s teenage girls in swimsuits that will show you a clearer look.